We find ourselves arriving at 40% into Randal’s dense little book, so you can let out a sigh of relief. We’re almost to the halfway point, and thus far it feels like we’ve ran a veritable mental marathon—one of wild twists and turns, ill-defined terms, far too many presumptions to count, and practically no justifications for the claims made—but to be fair, I wasn’t expecting it to be a scholarly work when I set out to review it. I am, however, a little disappointed in how unscholarly it has proved to be. So, once again, I’m merely providing my atheist perspective to the illusive ramblings of Randal Rauser, Christian theologian and apologist. It’s not a wrong statement, but we should find it no surprise that Randal takes umbrage at it. Watch Randal go! Telling atheists what atheists believe, again. Even so, he's not wrong about atheists rejecting more than just God. 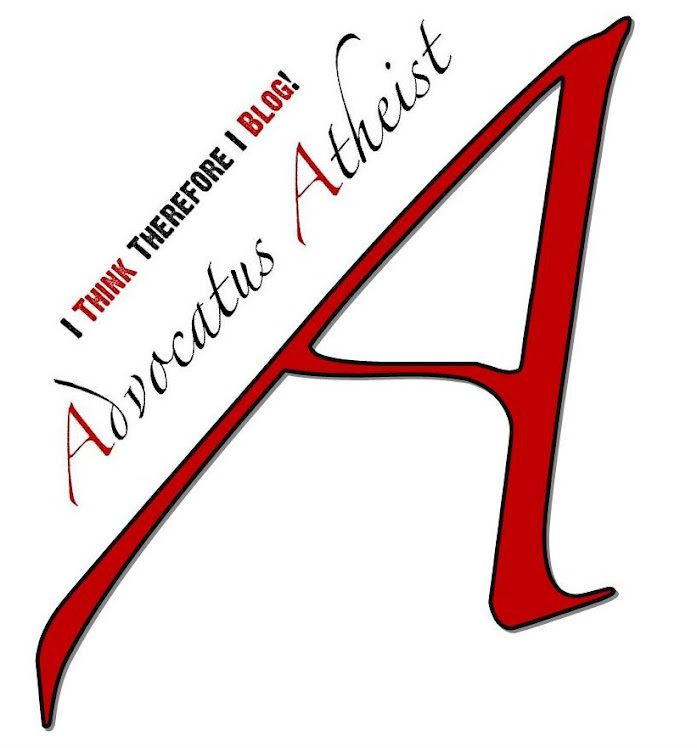 A-theism, or absent theism, is technically the rejection of the whole theistic claim, in this case it is the rejection of a specific type of theism, Christian theism. A rejection of Christian theism is a rejection of the Christian God along with other metaphysical aspects to Christian belief, such as the soul, angels, demons, the trinity, the devil, the resurrection, talking snakes and all the rest. 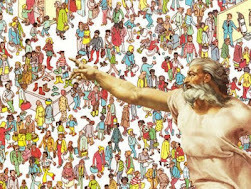 However, I’m not quite sure what Randal means when he says we’re assuming that everything stays the same when we take God out of the picture. So, what if we are? It’s only a deduction predicated on the assumption that naturalism is true. If there’s no God, and naturalism is true, then of course everything remains the same—because that means things simply are the way they are regardless of whether or not God exists. 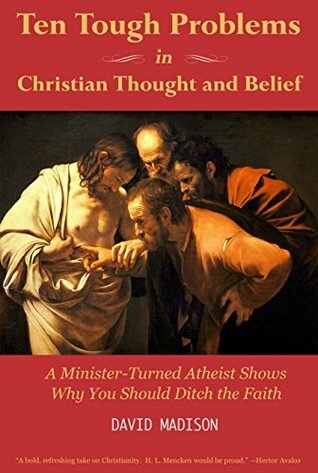 I think what is happening here is Randal is allowing his bias against the validity of naturalism to influence his thinking about what atheists purport to believe. It’s Randal’s hang up, but not atheists. Randal rejects naturalism in favorite of a theistic metaphysics, but to say atheists are wrong because we think things would remain the same minus God is to presuppose naturalism is wrong, and only Randal is doing that here. But it’s from this initial misrepresentation of the atheist position that Randal begins to inform what atheists ought to believe. Now a pretty authentic sounding dialog begins as Sheridan answers the question, so I will quote it in script format. First let’s address the point that lions and wolves are also found in mythology. Indeed, they are. And often times they also happen to be gods in disguise, or they have the uncanny ability to speak, or they have some other form of magical property, and we know for certain that these types of magical lions and wolves don’t exist in reality. Even if we were dealing with mundane lions and wolves, the fact of the matter is, we would recognize that they were part of a mythological construct due to other key aspects, such as interacting or engaging with proper mythological entities. So, it’s really just a moot point. Yet when it comes to strictly mythological entities, such as leprechauns and pixies, well, there is no distinguishable difference between these and angels and God. They have, after all, the exact same evidence for their supposed existence. Which is absolutely zero. Of course, this is why we call Randal an apologist and not a genuine philosopher. Instead of weighing both mythological entities equally, he tips the scales in favor of his preferred belief system. Such a bias inevitably causes him to leap to defend his cherished convictions while simply dismissing other equally viable, equally mythological, claims. Basically, all Randal has done here is say that since he thinks Christianity is real, and not mythical, then he assumes there’s more to the Christian God. But he very well could have said since he thinks Rumpelstiltskin is real, and not mythical, then he assumes there’s more to leprechauns. Randal is simply guilty of favoritism here. Or to phrase it like Jedi Master Yoda, favoritism an argument does not make. Sheridan then explains that he doesn’t believe in souls because everything (about humans) can be explained by appealing to the brain. Randal challenges that assumption, but I have to point out that it is a poor apologetic move. Now Randal is merely using an argument from ignorance to preach to the choir. 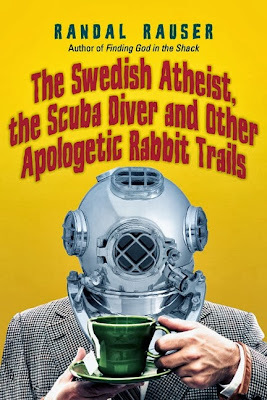 He knows other Christians will merely agree with him, so he feels free to contend the point without, once again, seeking the opinion of credentialed cognitive scientists and neurologists. If it seems hypocritical that Randal always harps on the “credentials” of atheists who challenge his position, then presumes to know everything about other fields of study he isn’t qualified to speak on, then you’d be right. It’s a harsh criticism, I know, but Randal's tendency to play the "credentials" trump car in his favor is something which we’ve seen several times throughout this book, and frankly, it grows tiresome. Not only because hypocrisy is, in general, bothersome, but because Randal should know better—yet almost seems oblivious to the fact that he’s doing it. Really? How so Randal? What are your sources? It’s no surprise that Randal just holds to the assertion without so much as attempting to justify it. Classic Randal. Sheridan doesn’t seem to know, but let’s give atheists more credit, shall we? No, of course the scientist wouldn’t know what coffee, espresso or otherwise, tasted like if he had, in point of fact, never tasted it. He would first need to have the experience in order to “know” the taste of coffee. All he can do, however, is study the effects of coffee drinking at the level of the brain. From that he could derive a lot about what such an experience entails but it still wouldn't be the experience itself. It seems Randal has jumped the gun here. The idea is that brain science, if it could become good enough to know everything at the level of the brain and its interaction with the body, then in theory—replicating the brain states of coffee drinkers would be possible. Knowing what coffee tastes like would depend on the ability to manipulate the brain signals in a way that they match up, and mimic exactly, the coffee drinker’s brain. It doesn’t actually suggest the mind is more than the functioning of the brain. All it suggests is that we still don’t understand the brain well enough to make that statement, but Randal makes it anyway. In order to better illustrate how Randal’s analogy fails, let us use a similar one. No, it means that *driving a car is something more than simply knowing how the mechanical parts function. There is a difference, after all. Anyone who has ever driven a manual stick shift for the first time clearly understands this. So Randal’s analogy is flawed, because he is switching from a question of comprehensive understanding about a thing's function, i.e. knowledge of how it functions, to a question of doing, or utilizing a thing's function, and, as you can see, these are actually two entirely different things. If your face melted off from another atomic face-palm, you’re probably not the only one. And once again we have no footnotes or sources to back up such bold assertions. But that really seems all Randal is doing here, asserting that consciousness seems to be a reality that transcends the grey matter of the brain. But without actually talking to some cognitive scientists and neurologists to get their informed take on the question, I can’t help but feel Randal is still confusing the knowledge of how a thing functions with the utilization of the thing's function. Under such a misconception, it would be easy to make the mistake Randal does here. Sheridan rejects Randal’s analogies which spur Randal on to drive his point home. Using the philosopher Leibniz as an example, Randal says if we walked inside a giant brain the size of a factory, all we would see are neurons firing. We wouldn’t see conscious experience. Again, Randal seems to insist on maintaining a confusion between knowledge of function and utilization of function. It’s like saying if we popped open the hood of a car, all we’d see are engine parts churning, but we wouldn’t behold the experience of driving. Which is true. But the question is, why would one assume knowing anything about how an engine runs and a car works would be anything like the experience of driving? Sheridan gets Randal back on track after asking what any of this has to do with a soul. But all we get are more assertions. Wait, what *evidence? All Randal gave were a couple of poor analogies where we could easily point out an obvious confusion in Randal’s reasoning. How do a couple of poorly devised analogies suddenly count as evidence for the existence of an immaterial soul, is what I’d like to know? Randal closes the chapter by giving us one more blatant assertion. The existence of one thing simply does not prove the plausibility of the existence of another thing minus any evidence or reason to assume a relationship exists between the two. The existence of dark matter, for example, does not mean parallel dimensions are more likely to exist. It could be these things are related, but we don’t know, it’s not an assertion we can make based on absolutely no evidence or reason to suppose they are related. Besides this, there is little evidence for either at the moment, so by saying they're related, or one boosts the plausibility of the other, merely results in us talking out of our hats. The same can be said of Randal’s horrible assertions in this entire chapter, a chapter of assertions. Knowing the mind exists, never mind if it’s an illusion generated by physical processes, much like how a computer program is an artifice generated by physical processes, or whether it’s simply a metaphysical mind—the existence of such does not denote a higher plausibility for existence of a God. They simply are not related claims. All we could assume, is that a mind signifies the plausible existence of a brain, just as a computer program signifies the plausible existence of a computer. But that’s as much as we could assume. Saying the existence of a computer program proves a greater plausibility in God, is simply false. That is not an assumption we can make. Nor can we say that the mind proves a greater plausibility in God. Again, we cannot make such an assumption. Such an assumption simply isn't warranted. But nonetheless, Randal makes just such an assumption. Chapter 14 is entitled “The Pastry I Freely Choose” and I presume it deals with ‘choice’, but I suppose we’ll just have to wait and see.